Welcome to the social media universe at FAU – the place to post, tweet and blog to your heart’s content. All you need to stay up to date on university life at FAU. 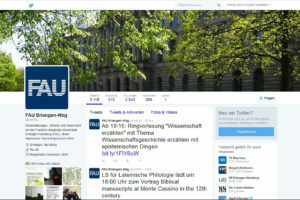 If you never want to miss an important date you can follow FAU on its Twitter channel: www.twitter.com/unifau. FAU tweets all dates and events relevant to students. International students and anyone who is interested in English-language information can go to our English Twitter page at: www.twitter.com/FAU_Germany. 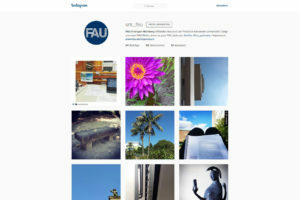 FAU as you’ve (probably) never seen it before; insights and outlooks relating to the university and student life are posted a number of times a week on Instagram. The university also reposts images from other Instagram users. You can find FAU under the name uni_fau and all images include the hashtags #unifau and #fau_germany. 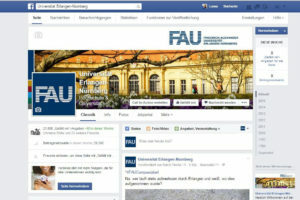 New articles about issues of importance at FAU are posted nearly every day on the students’ blog ‘meineFAU’. Here you can learn about living and leisure in the area, discover tips on cultural events and where to go, reports on semesters abroad, student projects and much more. The editorial team consists of students because students know best which topics are currently most interesting and pressing for their peers. The team is as varied as the topics: the authors are students of the humanities, future lawyers and economists: http://blogs.fau.de/meinefau. 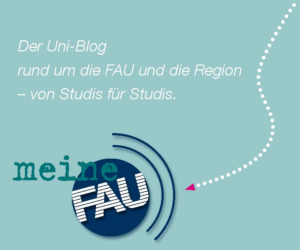 Students who’d like to respond to posts, wish to showcase their projects and ideas or write about events appropriate to the blog can contact us by email here socialmedia@fau.de. 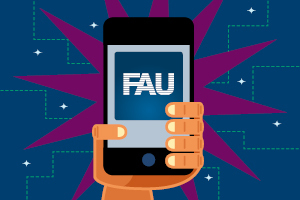 The free FAU app for iOS and Android keeps you up to date when you’re out and about: What was that professor’s email address again? In what room is my seminar being held? What’s on the canteen menu today? Using the FAU app you can find the answers to these and many other questions. 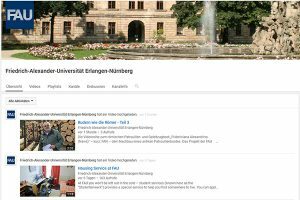 A video presentation of FAU in German and English is available on YouTube. Whether information on our degree programmes, interesting reports on research and teaching or videos about our events – you can always be part of it on YouTube.